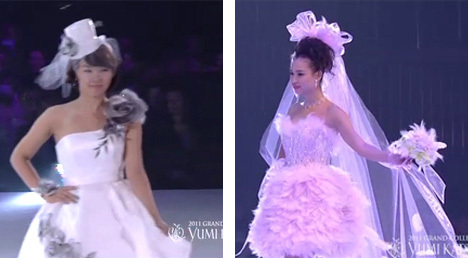 Yumi Katsura is an internationally well-known Japanese designer of ready-to-wear and haute couture bridal gowns and is definitely in the mix when it comes to modern Japanese weddings. According to her blog and AllKPop, her 2011 collection is said to have been influenced by K-Pop music artists B2ST, 4minute, and Supernova’s visual styles and performances so she personally designed outfits suited to their image. 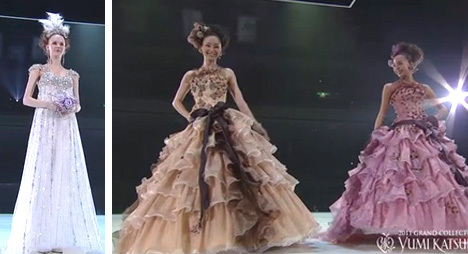 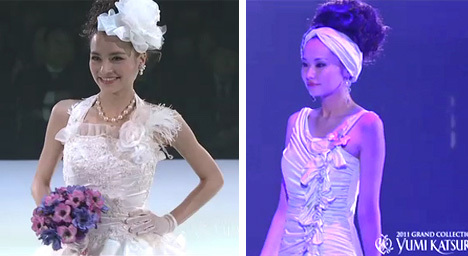 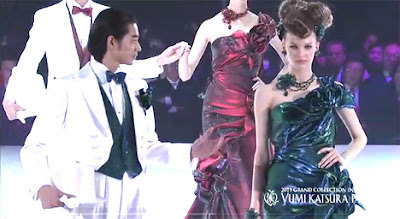 Here are photos of her gowns from the Tokyo Grand Collection 2011, launched in February 23. 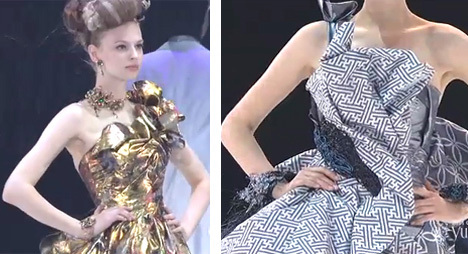 The dresses in the collection feature her signature intricate lacework, origami folds, whimsical applique work, and exquisite beading. See more of Yumi Katsura's 2011 Wedding Dress Collection in the Paris 2011 GRAND COLLECTION IN TOKYO RENAISSANCE JAPAN official website. 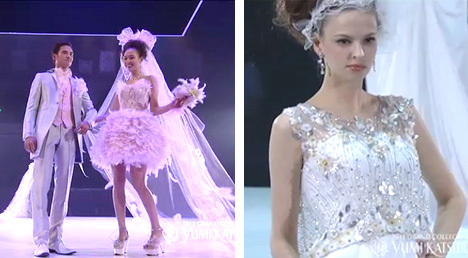 Like a shot of couture to a typical wedding, love these designs!